Posted on 20, September 2018 by EuropaWire PR Editors | This entry was posted in Education, Government, Internet & Online, Law, Media, News, Non Profit, Politics, Science, Society, United Kingdom and tagged bigotry, derogatory posts, Dr Luiz Valerio P. Trindade, hate content, hate speech, hateful posts, inappropriate content, Intolerance, Lindsey Wilson, misogyny, online hate speech, online life, public policy, public policy recommendations, qualitative study, racism, racist content, racist views, social media, social media platforms, sociological research, sociology, University of Southampton, verbal abuse, Who Why How. Bookmark the permalink. SOUTHAMPTON, 20-Sep-2018 — /EuropaWire/ — As social media has experienced considerable exponential growth-rate over the past decade, sadly the same has occurred with online hate speech. 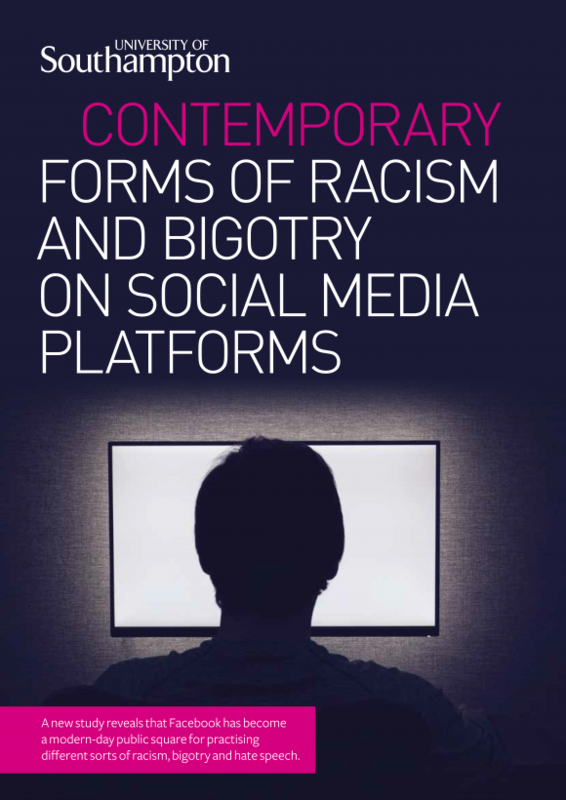 Clear evidence of this picture is the fact that different international organisations, including the United Nations Human Rights Council, the European Commission against Racism and Intolerance, and national governments across Europe; namely the UK, Germany, France and Italy, have demanded that the large corporations behind the major social media platforms do more to address this issue. In fact, recent sociological research reveals that, while more needs to be done at the corporate level, there is also other actions that could be taken by national governments and educational bodies towards changing this picture in the near future.